Ideal for bale openers and loaders. Base belts with anti-static top covers. Thermowelded PVC profiles, easy to clean and strongly attached to the base belt to prevent fibres from getting underneath. 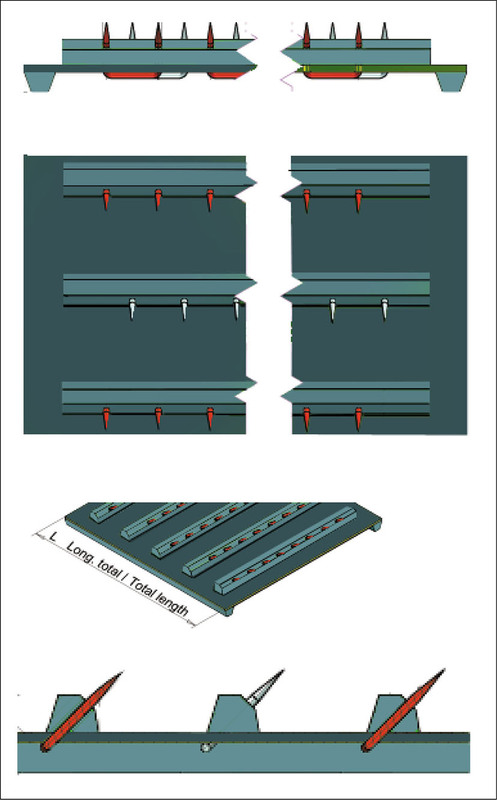 U-shaped double pins are reliable and suitable for heavy loads. In the bale openers and loads that comb and stretch fibres, monoblock apron belts are used. 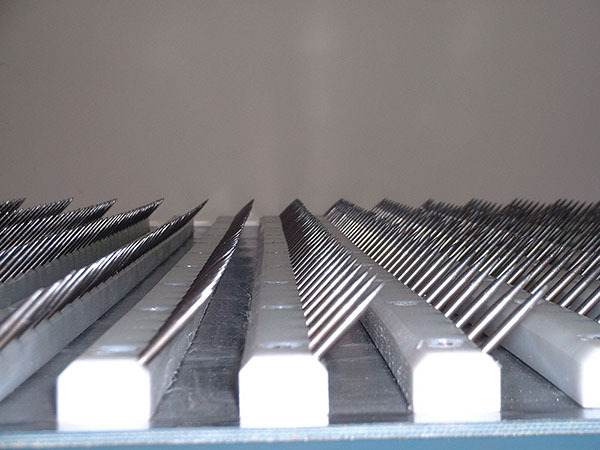 They are slats that hold spikes mounted on a support belt such as BREDA 25CF. NE.C14 profiles are welded on the belt using a precise thermofusion system. 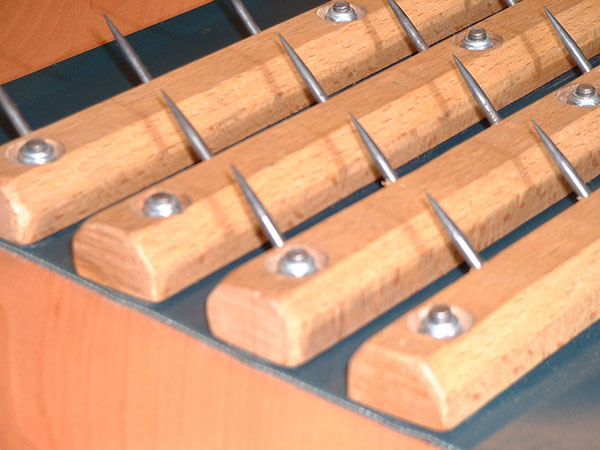 Then, spikes are nailed in a “U” shape from the bottom. To align the monoblock apron belts, guide profiles may be welded on the bottom cover. Also available are apron belts with compacted beech wood and polypropylene. In the wool and cotton production process, when the cards move to the drawing frames, transmission belts like our LEATHER-POLYAMIDE LL14, LL20, EE14 and LL30 may be used. Monoblock staggered Apron belt BREDA 25CF + NE.C14 with pins. Apron belts with compact beech wood. Monoblock apron belts with pins for bale openers. Anti-static belt, thermowelded profiles, strong double pins. Avoid downtimes and risk of accidents caused by the breakage of profiles.